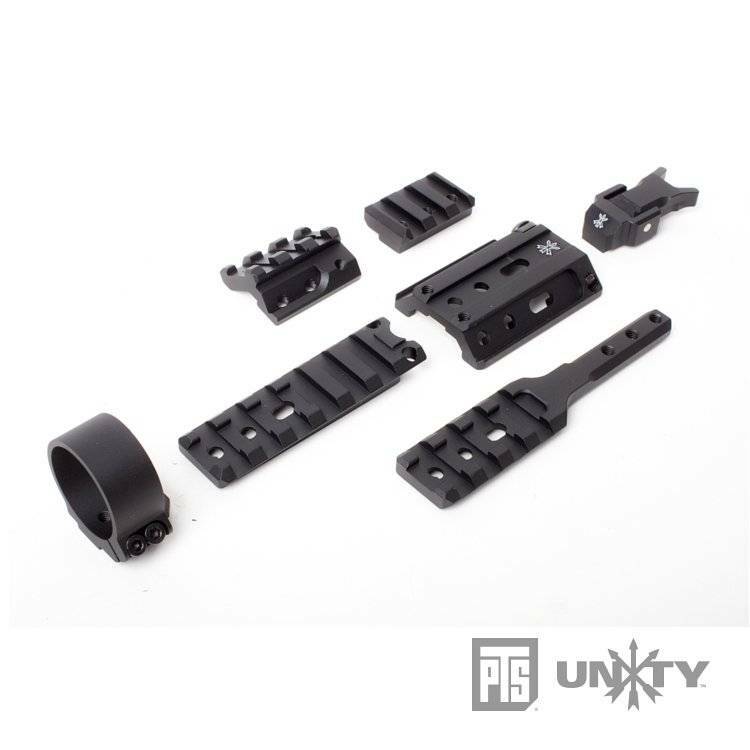 The PTS Unity Tactical FUSION™ series is a modular, multi-purpose mount designed to give the end user extreme flexibility in mounting options. It was engineered from the ground up to provide a strong mounting base with the widest range of configurations while remaining lightweight and inexpensive. 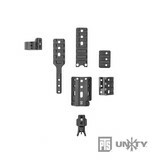 The system consists of a base with several accessories adapters. 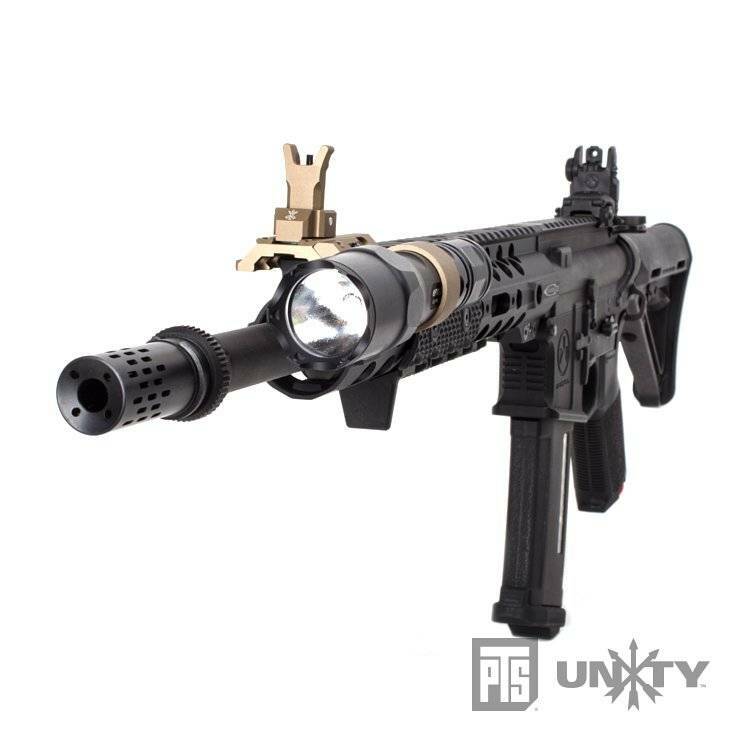 The current offerings encompass a wide range of current devices to include lights, lasers, optics, and ancillary equipment. Because the mounting system is standardized, new accessory mounts could be introduced as equipment requirements and tactics, training, and procedures (TTP’s) change, reducing time to market and maximizing effectiveness. The PTS Unity Tactical FUSION™ was designed to maximize the use of rail space while remaining lightweight and low profile. The hub is constructed from precision milled 6061-T6 aluminum that is then hard anodized in black or dark earth for durability. The interface points are very strong and provide for a very rigid mount. The picatinny rail hub has 4 mounting surfaces; a top surface, forward surface, and two wing surfaces. All wing accessories are reversible for left handed or ambidextrous shooters. The combination of equipment configurations is immense. HUB, the heart of the Fusion system mounted on the handguard rail to which all the other components are attached to, creating various configurations. Extension, a rail component used to project the whole system forward and can be applied on any of the three positions of the HUB. 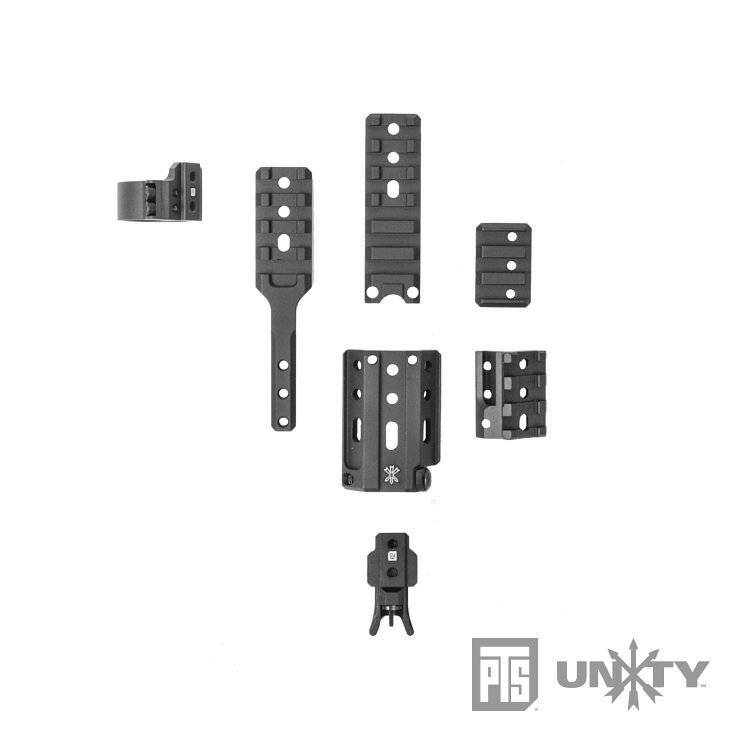 BUIS, an extremely compact, folding back up iron sight that can be locked in the upright position with a small set screw. Offset Rail, attached to either side of the HUB to create a 45° rail placement. Offset Wing Mount, attached to either side of the HUB to create a 90° rail placement to the top rail. 1” Light Ring Mount, can be used to mount standard 1” diameter handheld lights directly to the HUB, Extension or Forward Rail. Forward Rail, extends forward from the HUB at the same height as the top rail. 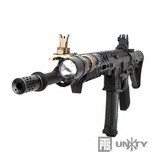 Various components to adapt or configure to any combat needs and situations.